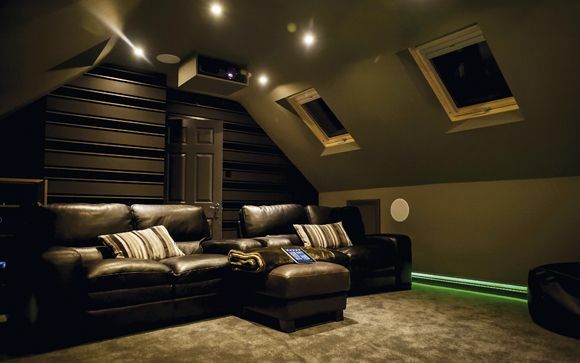 AV retailer Richer Sounds has joined forces with Japanese audio specialist Eclipse to install surround sound systems in demo rooms at its Chelsea, Plymouth and Southampton stores, giving film (and music) fans the chance to hear Eclipse's Time Domain speakers in action. Richer Sounds' flagship location in Southampton is getting a 5.1.2 Dolby Atmos setup, using seven of Eclipse's TD508MK3 speakers, and its TD520SW subwoofer. The Chelsea and Plymouth stores will feature 5.1 installations based around TD307MK2As, while all three outlets will also have demo pairs of the TD508MK3s for stereo auditions. Three Eclipse models are available to buy from Richer Sounds – the £180 (each) TD307MK2A (pictured), the £480 (each) TD508MK3, and the range-topping TD510ZMK2 (£1,920 each). All feature variations on the brand's custom full-range driver design and 'Egg-Shaped' enclosures. Those away from the South of England aren't being ignored, as Eclipse and Richer Sounds plan to expand the partnership to other UK areas in 2019.